We still have a lot to learn about space. When you think about it, it’s not so strange that there is so much we still don’t know. After all, space is enormous! NASA, the American space agency is very aware of that. That doesn’t stop them from trying to learn as much as possible though. In order to do so, space agencies shoot satellites with telescopes into Earth’s orbit. This gives them a much better view of what’s out in our night’s sky. ESA, the European Space Agency, has Gaia, and NASA has the Hubble Space Telescope. This observer, named after Edwin Hubble, has made some incredible discoveries. Let’s have a look at some of the most interesting ones. In an earlier article we have already talked about the Pillars of creation and the vast amount of galaxies out there. It is quite fitting that the Hubble Space Telescope ‘discovered’ all those galaxies, as it was Edwin Hubble who discovered there were galaxies in the first place. In this article we will talk about dark matter and the age of the universe. We can’t see dark matter, neither can the Hubble Space Telescope. Then why are we talking about it in this article? Because the Hubble Space Telescope did make it possible for us to observe dark matter without seeing it. Hubble’s vision is extremely sharp. And with this vision, it observes areas around clusters of galaxies. So basically, large groups of large groups of stars. These clusters contain dark matter. This dark matter distorts the light coming from other galaxies that are even farther away. This distortion is called gravitational lensing. 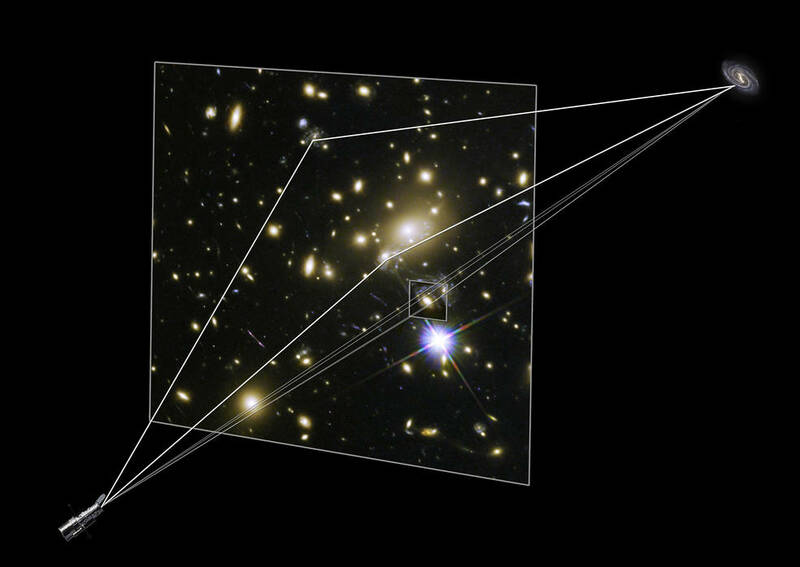 This might sound familiar to you, as we have talked about gravitational lensing helping us detecting the farthest star ever observed in this article. Astronomers have calculated that there is about 5 times more dark matter in our universe than there is normal matter. We would not have known this if it weren’t for the Hubble Space Telescope observing the tiniest light distortion coming from galaxies far away. This tiny distortion turns out to be caused by something as big as dark matter. When Edwin Hubble established that the Milky Way galaxy is, by far, not the only galaxy the scientific world stood for a whole new approach of astronomy. One thing that was now to be researched was the expanding universe. Hubble himself calculated the rate with which the universe did in fact expand. This rate was called the Hubble constant. But our knowledge was limited, so the value of the age of our universe ranged from 10 billion years to 20 billion years. That’s not quite accurate. Then came the Hubble Space Telescope. The telescope measures the distance of galaxies, and changes in that. By those numbers, we can calculate the speed these galaxies move. 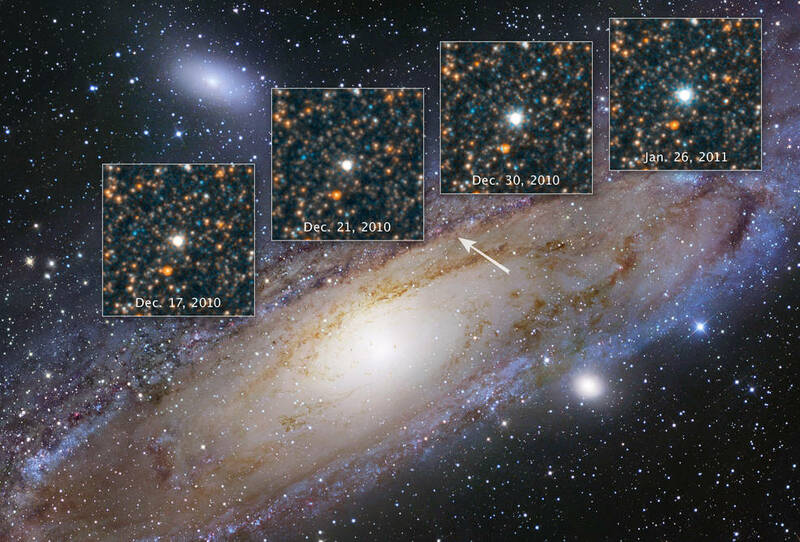 Thanks to these observations, made by Hubble Space Telescope, we now estimate the age of our universe at 13.8 billion years.